Not exactly an autumn color, but this is what I wore on Thanksgiving Day. :) Two coats of Girly Bits Razzle Dazzle over one coat of Sally Hansen Insta-Dri Presto Pink. Since I hate the gritty feeling of glitter polishes, I topped it off with a coat of Gelous and then a coat of Seche Vite. Those two topcoats smoothed everything out and I had this manicure on for five days with only the slightest of chipping on one thumb. 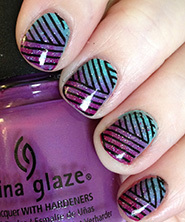 Other than that, like most glitter polishes, it held up great! 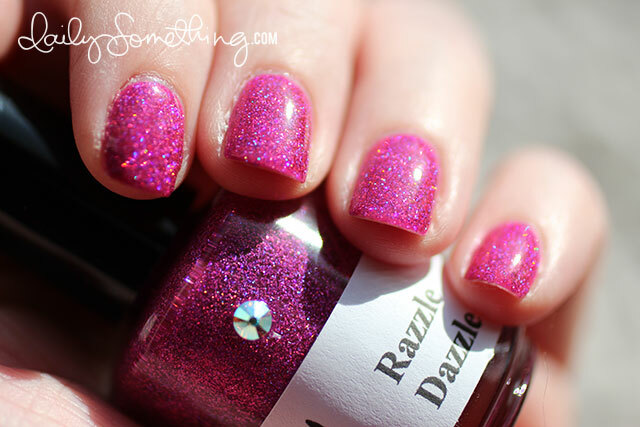 Razzle Dazzle is a polish I just received in an order from Llarowe. It was my first time shopping with them and it was a great experience! Super fast shipping, too. Thank you for sharing a link to Llarowe! Their selection is amazing! 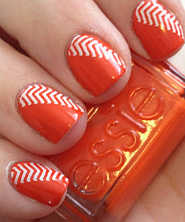 Your nails look great too! I love it! 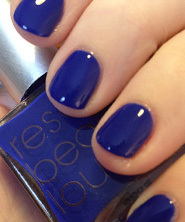 Have you tried CoverGirl Outlast Stay Brilliant Nail Gloss nail polish?? Holy Moly! Dark rich colors that cover in one swipe….I found them at Wal-mart for $4.97 and combined with your combo of CND and Seche Vite…..I had a three week long manicure. I just do not like the big bulky square handled brush….but with that kind of coverage and price, I’m in! Ooooh, what a pretty pink! I had to share the deal I got tonight at CVS Pharmacy; I needed some Seche Vite Top Coat but it was $9.29 a bottle so I was going to check elsewhere; I glanced up at the top of the shelf though and saw a box set with the base and top coat together fro $8.99!!!!! What a steal, especially with the 20% off coupon I had; I grabbed 2 boxes and will probably get more this weekend; Do you have CVS stores in Utah? 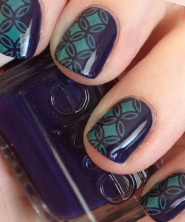 Oh, i love this nail blog of yours… Wo knew that stamping would go another way? Love this pink… So femininely chic!